Anyone who's read this blog for any length of time will know how much I love viewing cities from above so when I had the opportunity to spend 48 hours in London I knew I couldn't pass up the chance to do some climbing, I'm actually pleased to report that unlike Edinburgh where I've climbed both the Scott Monument and the Nelson monument it's significantly less energy consuming in London thanks to The View From The Shard and the London Eye and whilst you may feel a little faint when you discover that it's going to cost I can attest to the fact that it's absolutely worth parting with your hard earned cash. 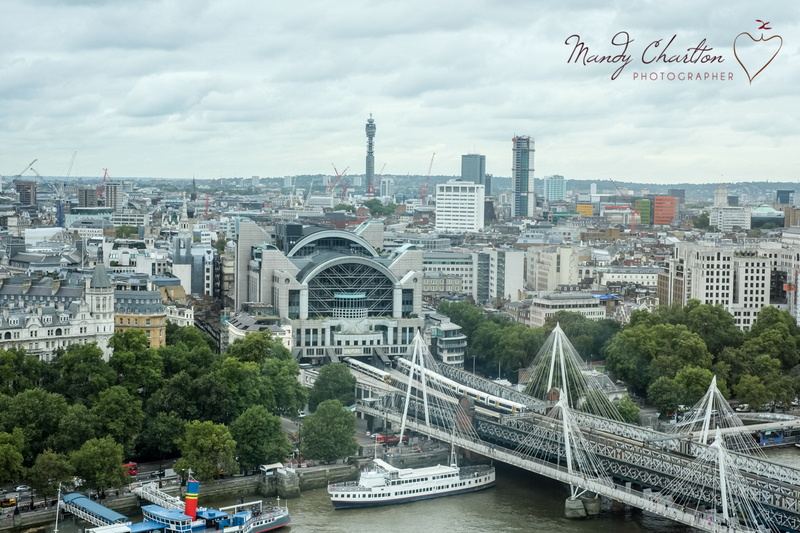 I paid £29.50 for a fast track ticket on the London Eye during the daytime and got on in 15 minutes (totally worth spending the extra if like me you are too disorganised to book in advanced and don't want to wait until you retire to get on there I saw people turning up at 10am to be told they couldn't go on until after 5 or 6 in the evening and I'm told that on some days it's so busy you might not even be lucky enough to get on). I think on the London Eye that it's a shame there's no commentary, to me it would only add to the experience which lets face it is costing more than your lunch (for 1 obviously) for less than an hours entertainment. I loved the pace of the London Eye, it felt about the right amount of time to be up there, What I didn't enjoy was the fact that they take your photo and then want to sell you it for £22, all I wanted was a magnet, surely they'd make more money selling things separately and most people just laughed at them when they announced the price, especially as you end up with up to 5 complete strangers in the image with you! 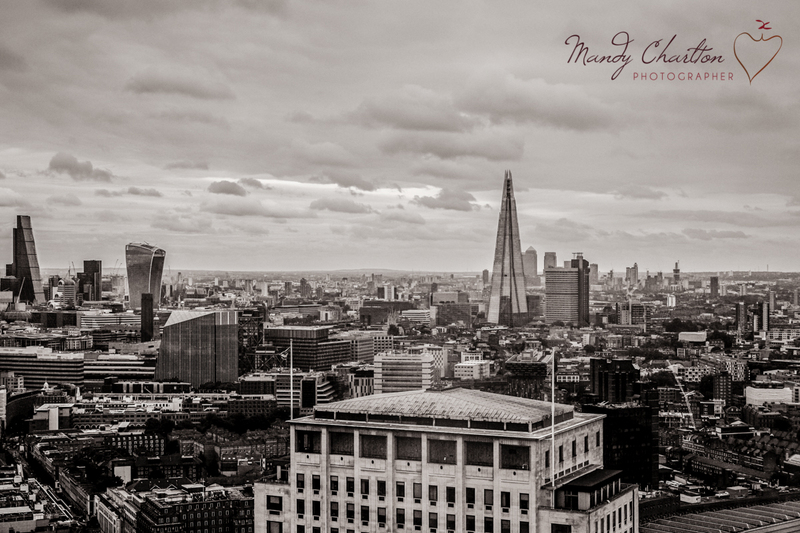 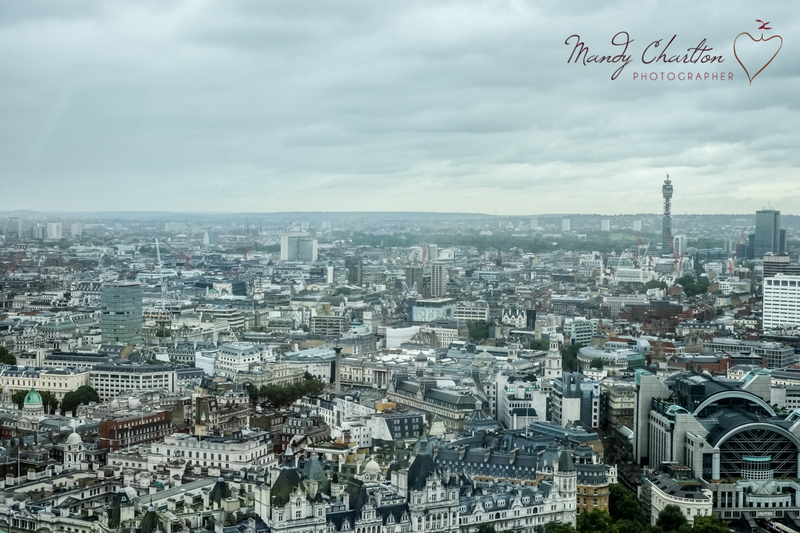 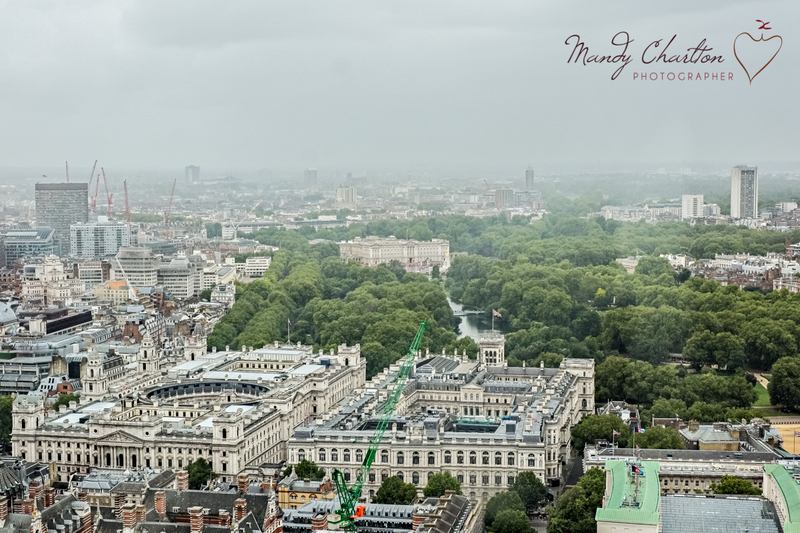 The views though, even on a cloudy day make London look like the most magical place in the world and that's how I feel about London, it's special and magical and beautiful, serene and awe inspiring, at least when viewed from above whilst at ground level it's hustle and bustle and chaos, something I don't think I'll ever get used to, I could spend a month in London but I don't think I'd live there, I'd miss the calm of the North, the sight of the sea, the green of the Cheviots all being just 30 minutes from my door and I'm fairly sure I would spend a fortune visiting the London Eye and The Shard just to remind myself of the beauty from above. 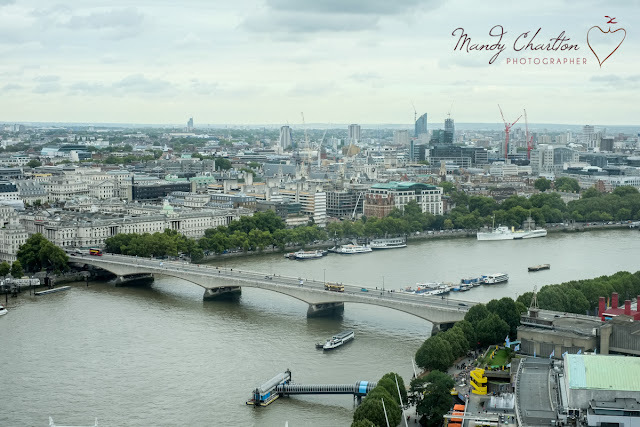 So London by day from the London Eye, just want until my next blog post, part 2 from The View From The Shard after Sunset, I promise you won't want to miss my next post! 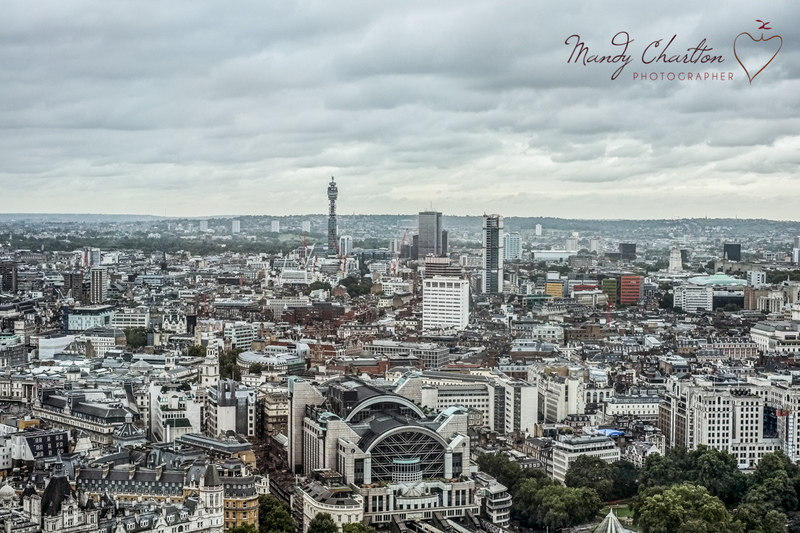 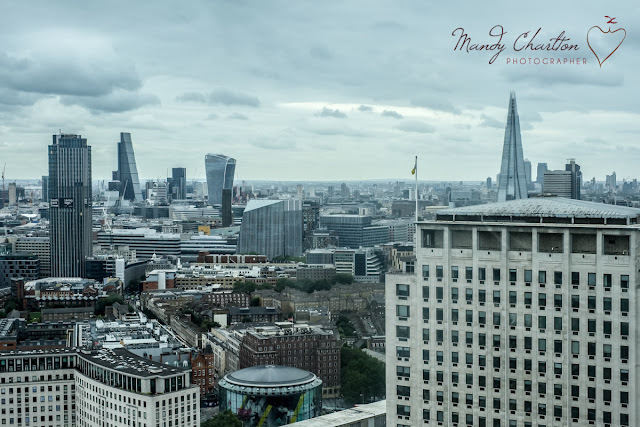 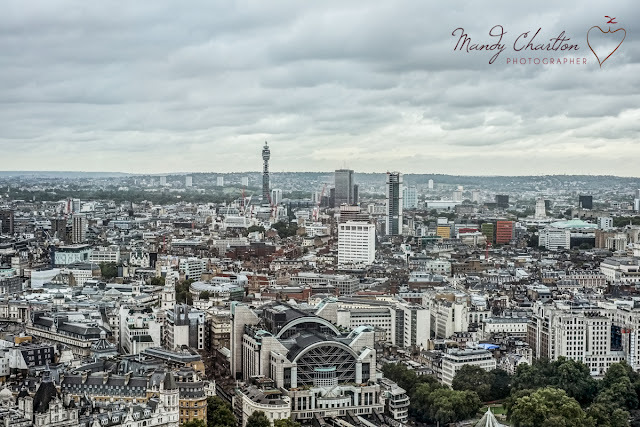 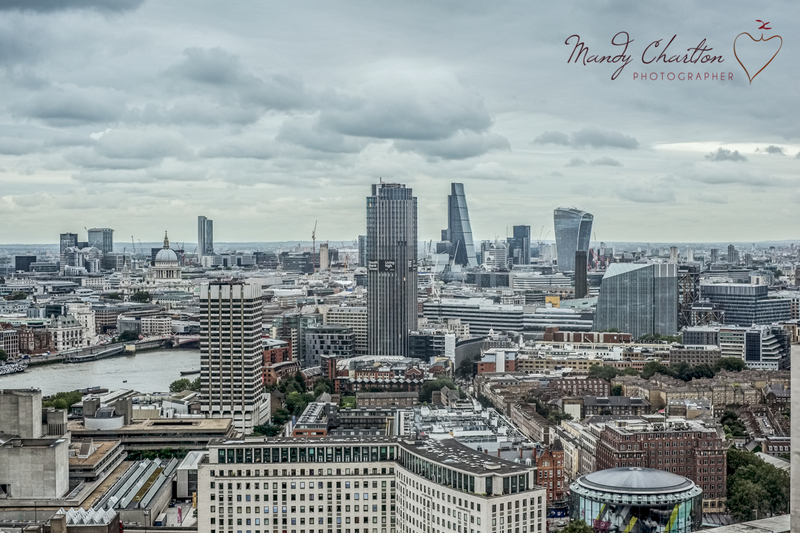 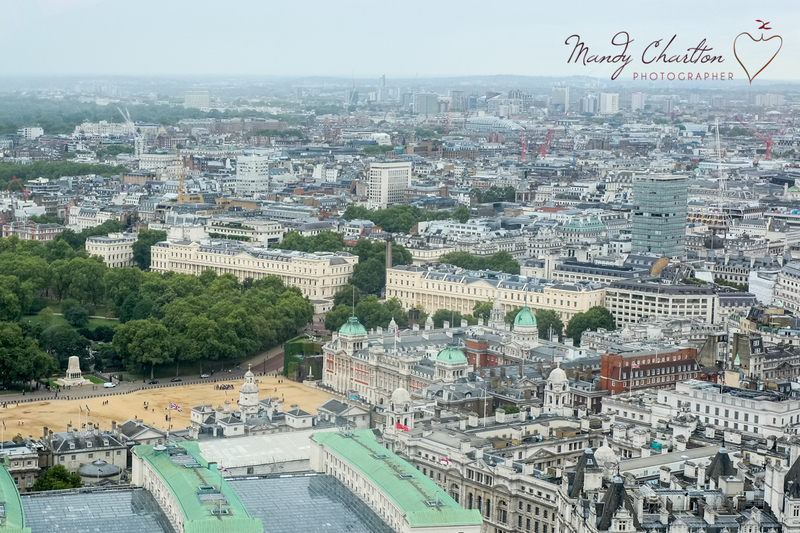 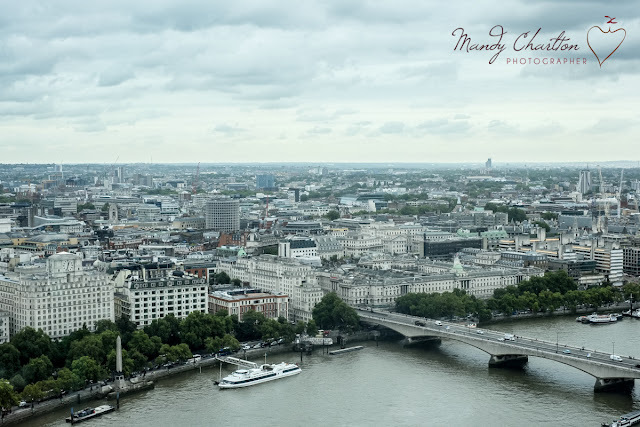 Labels: from above, london eye, London from above, mandy charlton, photography, shard, the city, the view from the shard, travel photography, uk travel photographs.